The English Language Proficiency Assessment for the 21st Century (ELPA21) is now part of CRESST at UCLA. CRESST has been a key partner to ELPA21 from the beginning. We continue to provide critical input and guidance, contributing to the development of the assessment system and ELPA21’s ongoing success. English language learners bring diverse and rich language experiences to our schools while their English language proficiency increases. ELPA21 measures this growth with assessments founded on the new ELP standards that provide valuable information to inform instruction and support students in their individual journeys toward English language proficiency. ELPA21 is an assessment system that supports states and educators as they adopt and implement the English Language Proficiency (ELP) standards. This system was developed by states for states – and this dynamic will continue as it ensures state guidance for educators and provides members with a secure place to network, problem-solve, and learn from one another. 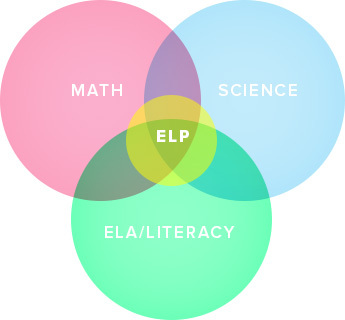 ELPA21 offers a suite of ELP assessments that incorporates the latest understanding of language development to provide concise instruments to support students and educators. These assessments are innovative and technologically based, which serves to communicate fast and meaningful information to schools and educators. The ultimate goal is for all ELLs to leave high school equipped for college and career success. In support of this effort, CRESST aims to develop innovations to advance scoring and test delivery to improve the efficiency of the ELPA21 assessment system. As we look to the future, we will continue to bridge the gap between the operational burden of test administration and the precision of the overall instruments. We look forward to leveraging the latest advancements in technology-based testing and analysis to continually improve results for our students. Contact us to learn how ELPA21 can help prepare your English language learners for college and career success.